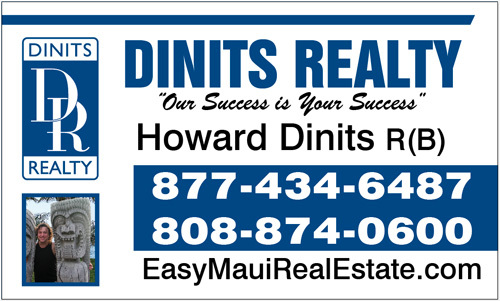 Howard Dinits helps a lot of people invest in or move to Maui. I look forward to helping You and your family. Thank you for your referrals. How does Hawaii Rate Property taxes?? Well each island has their own rate system based on use. This article pertains to Maui County only. Which consists of Maui, Molokai and Lanai islands. 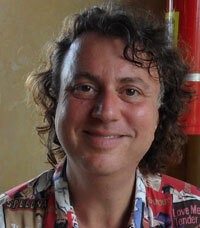 On Maui the fiscal year starts July 1st. Every year on July first they reset the rates and values for each property type. As a Realtor® I can make you aware of what the rates are today. I cannot predict what the county will do for the following year. I find out when they announce it and will share the info with you. I also must point out the best rates are for owner occupants. Which is yet another reason to move to Maui. Sometimes the tax rate actually goes DOWN. This year tax rates actually decreased below last year’s rates. It is my guess that the decrease in rates may be at least partially offset by increasing assessments. Here are the numbers for the 2014-2015 fiscal year. The Apartment rate decreased from $6.40 to $6.20. The Commercial rate decreased from $7.05 to $6.83. The Industrial rate decreased from $7.30 to $7.07. The agricultural rate decreased from $6.05 to $5.86. The conservation rate decreased from $6.25 to $6.06. The Hotel and Resort rate decreased from $9.40 to $9.11. The Time Share rate decreased from $15.55 to $15.07. All of the rates above are based on $1,000 of assessed value. Homeowners in Maui County are also eligible for a $200,000 exemption which may be subtracted from their assessed value. Here is an example. If you qualify for the homeowner classification that has a property assessed for $600,000 you would have $200,000 deducted from your properties assessment for a net taxable value of $400,000. Check with the county for the latest and most up to date eligibility guidelines. The minimum property tax rate bill for Maui County is $150. Taxes are paid in two installments with bills sent in August and February. The county has an online resource available entitled Understanding Property Taxes which goes into more details on assessments, how properties are classified and timelines.